The school teacher in me can't help but get excited this time of year. The notebooks and pencils are lining the shelves everywhere, and PicMonkey has a new School U Theme! 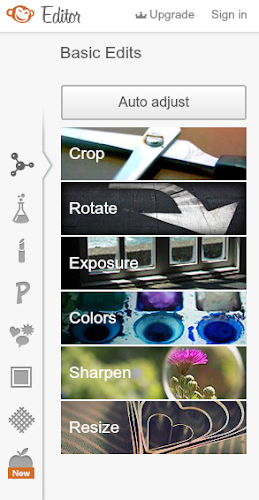 Okay, so PicMonkey didn't even exist when I taught (I wish it had), but it's still something to be excited about! I received an email from Lisa at PicMonkey earlier this week. 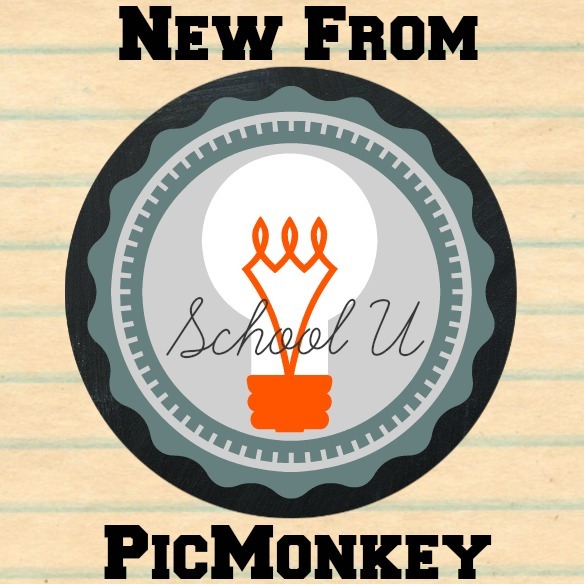 She gave me (in words) a sneak peak of what PicMonkey was working on for their new School U Theme. I was honestly giddy with excitement as I read all the new features that would be included. And that was just reading the words. Then a few days ago, it went live and I got to see it all. Happy Day! I tried to make a bit of a collage of what you can find at School U. There's more than I could fit here, and once again I haven't paid to have the Royale features (School U has totally convinced me I need to- there are adorable buntings!! ), but if you include the Royale features and all of the color possibilities, the fonts, the boards, the papers, the clip art, and you could be busy from now until forever! 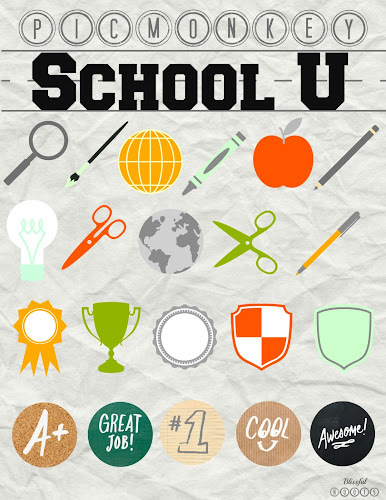 You can find the new School U Theme after you've chosen your image to edit a menu will come up to the left of your image. The School U Theme is the apple in the bottom left corner with the word 'New' next to it. It's not hard to miss. Once you've clicked on that, then you'll see this appear. And after that, you'll find ALL of these. There are so many features that I couldn't fit everything into one screen shot! 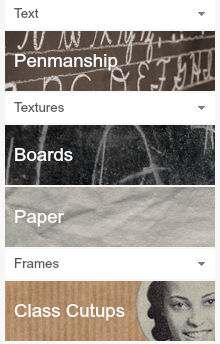 New fonts, boards (like chalkboards), and frames. I honestly can hardly stand the excitement! I can't wait to get going on some projects. Stay tuned to see what I come up with, and let me know what you create as well. You can click here to see my post on how to make labels in PicMonkey.